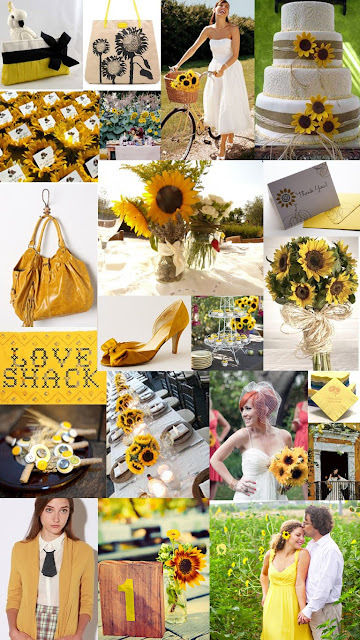 Paper Doll Romance: Color Day Themes: Sunflowers! We're doing color Wednesday a little different today. When thinking of what colors to do this week, we decided it might be fun to try a motif or theme instead. Many people to choose to theme their decor according to different seasons, areas around the globe, patterns, etc. 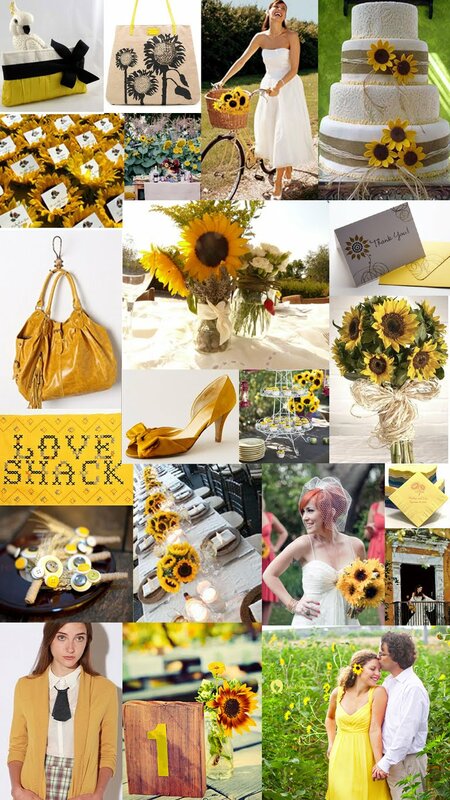 Today's Inspiration Board is based on a summer staple, the Sunflower! Sunflowers always seem to have the power to liven things up and energize a space. There is a strange bit of happiness you feel when looking out at a sunflower field and you can't help but smile when you see their bright and cheery faces awaken to the morning sun.